On Sunday, Mindy Kaling and ex-boyfriend B.J. 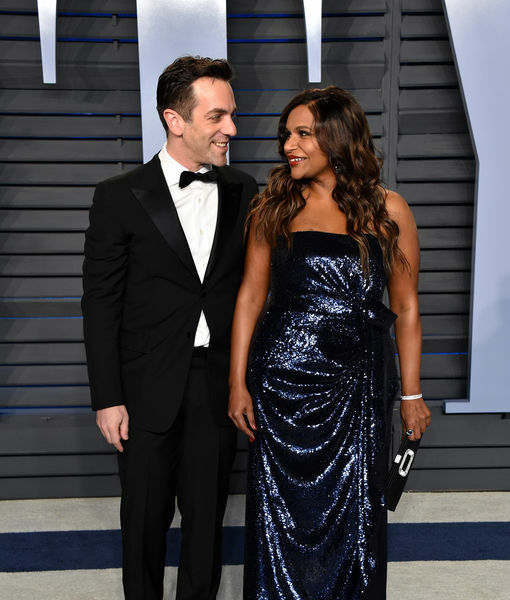 Novak posed together at the 2018 Vanity Fair Oscars Party! Kaling took a break from mommy duties to spend time with Novak, her “The Office” co-star. She posted on Instagram, “I’m headed out for a night of fun with my best friend…” She eventually deleted the caption. Ryan and Kelly back together again! In December, Kaling welcomed a baby girl Katherine Swati, but has kept the baby’s father a secret! A year before, Kaling reflected on their split, telling Howard Stern, “He broke up with me. It was years and years ago." She elaborated, “That was the hottest I ever looked because I stopped eating. When I get depressed, I stop eating so I was so miserable and I was so beautiful. I remember waking up, barely getting out of bed and we worked together, but I didn't care, I had no makeup."